Love Saves the World would like to welcome Karyn Gerrard and her latest book, Bold Seduction, the first book in her new series, The Hornsby Brothers. 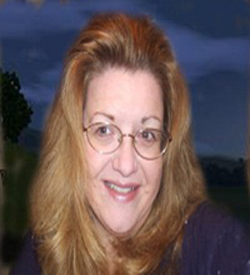 Karyn is hosting a Blast Wide Giveaway of a $15.00 Amazon eGift Card. (Enter via Rafflecopter below). 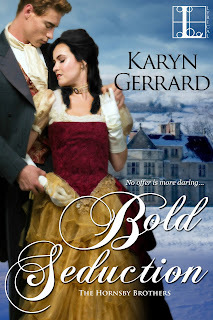 Click here to visit Karyn's other stops on this blog tour and to find out more about her new book. He coughed and looked away. She made him uncomfortable, and she would wager to guess -- a little aroused. No sound could be heard in the room except a whimper from one of the dogs and the huge clock in the corner ticking away the awkward minutes. For more information about Bold Seduction, click here to go to the Goodreads page.